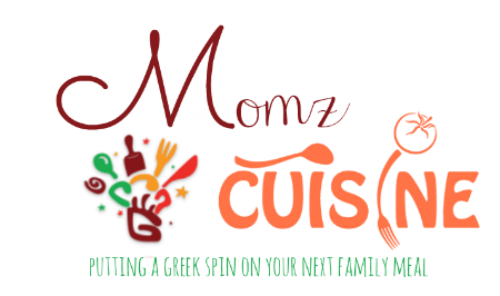 Food is the unification of the family, that’s what my mom taught me. Easter at my house was a blend of beautiful aromas and family unification! My mom began cooking in the middle of the week and finished at the end of the week just a few hours before going to church. Nostalgic of her cooking and her presence, I try to create my own moments with my own family using her recipes. This recipe takes me back to a time of fun, a worry free life and a time where things were quite different. My mom’s holiday cooking would put a smile on all our faces. She made everything seem effortless, whether she was tired or not she had a smile when she cooked. Her happiness just echoed throughout the house. In return I want to give my children these moments that I still long for. No matter how old you are or how good you cook, mom’s cooking is always better. 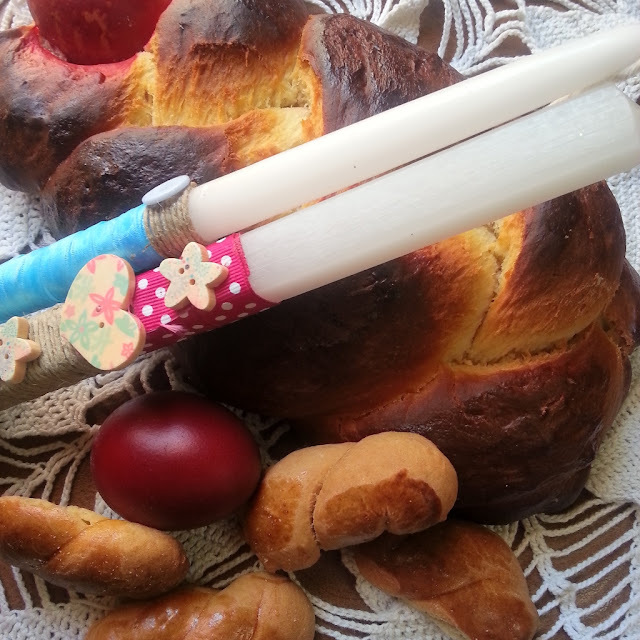 This Greek Easter bread (Tsoureki) resembles the Jewish Challah. It goes great with coffee, you can spread on it butter, honey, jam or just eat it plain,that’s how I like it. Without the Greek Easter Bread, it's just not Easter, the aroma of this bread seduces your soul and gratifies every single taste bud that you have! Leaven, this must be made overnight. Heat one glass of milk till warm, add in a big pot then add your 5 envelopes of yeast. Dissolve yeast very well then slowly add your flour, add just enough to make it tight, set aside till next day. The next day it should have tiny air bubbles. Mix 12 eggs and 1 glass of warm milk and then slowly all other ingredients, add your butter last. Beat for at least 15 minutes. Make sure your mahlepi and Mastiha are cracked I usually place it in a towel and crack them with a hammer. You can use a hand processor and break them down. TIPS: 1) You could also chew the Mastiha as is, it's excellent for digestion. 2) The new generation loves to top it off with melted chocolate or filled with Nutella. Once you are done you add your leaven to your mix. Once you add the leaven, mix and then slowly add the flour, when you add enough flour and the dough starts forming you begin kneading, rub your hands with corn oil, this makes the kneading a lot easier. If you do not use corn oil it will become a difficult task. You must knead it for about 20 minutes, if you have a bread machine go ahead and use it. I like doing it the traditional way. I make the dough, as soon as I wake up in the morning. When you are done kneading leave it in a big bowl and allow it to rise usually about about 4 hours. If it overlaps in the bowl it's ready, I usually knead about 3 times and allow it to rise each for about an hour or so. Makes the bread fluffier. It’s traditional to make the Tsourekia in shapes of braids. We do this to keep all bad spirits away. If you have followed the recipe, you should have about 7 to 8 tsourekia (depending on the size you make). When they are all ready brush them with an egg for color, then you cover them with aluminum foil and towels and you let them rise for about 2 -3 hours before baking. If they have not risen, they are not ready and yo will get a hard tsoureki. Preheat your oven for at least an hour. Bake them for 25 mins. at 248 Fahrenheit or less. To check if they are ready place a skewer in the middle if it comes out clean they are ready!! Let them cool and eat !